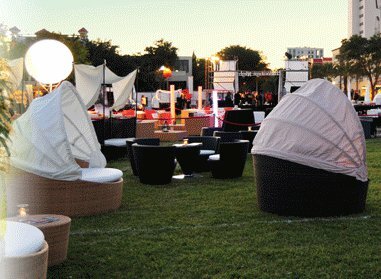 Chillounge transforms the northeast corner of Lake Eola Park into a South Beach style lounge complete with a full bar, comfortable daybeds and outdoor furniture, live entertainment, a fashion show and a firework display on Saturday, May 12th, 2012. Tickets are $20 in advance for the event and $25 at the door. If you are interested in getting a few extra perks, the $95 VIP ticket includes open liquor bar and complimentary food. Proceeds from the 2011 event benefited the Fatone Family Foundation. Click Here to visit the official site for the most up-to-date information and purchase tickets when they become available. This entry was posted in Events and tagged annual events, downtown orlando, lake eola, orlando. Bookmark the permalink.